This new Air Jordan 4 color way was inspired by Michael Jordan's 1989 game against the Cavaliers. This new color way was highly successful, sporting a black nubuck upper. The sneaker contrasts with Cleveland's team colors throughout in a majority of key areas. 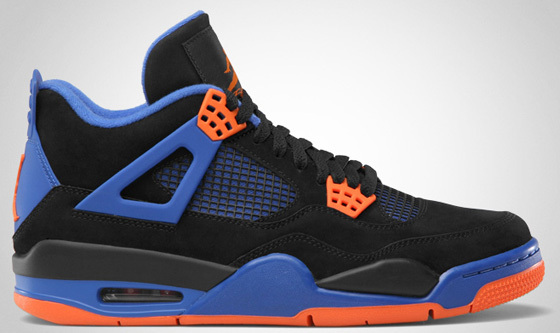 Orange and Blue make up the midsole, outsole, heel tab, liner, Jumpman and wings.